The Western Region extends from the inner suburbs of Moonee Ponds, Footscray and Williamstown, through the middle-ring suburbs of Essendon, Maribyrnong, Sunshine and Altona, to the growth area suburbs surrounding Werribee and Melton. 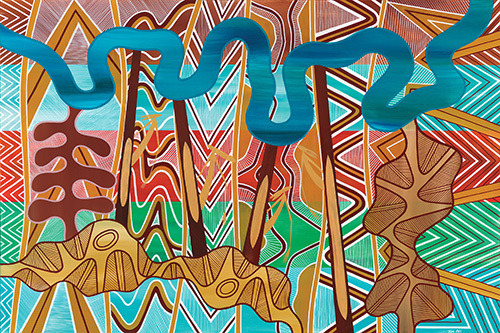 Melbourne’s Western Metro Region is the traditional home of the Wurundjeri and Wathaurong peoples of the Kulin Nation. After European settlers arrived, early colonial development was slower in the Western Region than in other parts of Melbourne, owing to the fact that the western grasslands were less suitable for farming than the lusher terrain to the east. The outbreak of World War One helped establish the significance of Melbourne’s Western Region. From 1888, when the inner west became host to Australia’s first ammunition plant, the Western Region was at the forefront of Australia’s munition production, and would be the Nation’s key domestic ammunition supplier during the 1914-1918 war. The post-war history of the Western Region is intrinsically tied to the waves of immigration that flowed into Melbourne. The influx of the 1950s brought large numbers of Italians, Greeks, and Eastern Europeans. By 1966, over a third of the population of Footscray was foreign born. Beginning in 1975, the Western Region received a new wave of migration from South East Asia. In the 2011 Census, more than 20 per cent of the population in the suburbs of Sunshine and Braybrook reported to be born in Vietnam. Today the Western Region comprises the local government areas (LGAs) of Brimbank, Hobsons Bay, Maribyrnong, Melton, Moonee Valley, and Wyndham. The Western Region’s has a rich natural environment with an extensive coastline and inland waterways in Werribee and Maribyrnong. The the region is home to the Western and Derrimut Grassland Reserves and wetlands of international significance under the Ramsar Convention. As well as providing public amenity, these areas also protect biodiversity in the region. The Growling Grass Frog inhabits a section of the Western Growth Corridor along the lower Werribee River. The Western Region has a population of approximately 879,000 people (approximately 19 per cent of metropolitan Melbourne’s total). Its population is expected to continue to grow rapidly at approximately 12 per cent compared to 10 per cent across all metropolitan regions.